Organic agriculture is generally considered a more sustainable and eco- friendly approach to agriculture than conventional chemical-based farming practices. Organic practices generally do not rely on chemical fertilizers and pesticides which leach the soil of nutrients, and are less expensive. At the national and state level, there have been a number of initiatives to promote organic agriculture in states like Rajasthan, Maharashtra, Jharkhand and Sikkim. In this context, it is interesting to have a closer look at life in Ghagari, a village in the Murhu block of Jharkhand’s Khunti district, as all the agriculture here is totally organic. Ghagari is a project village under the WOTR Wasundhara Livelihoods Development Project, funded by the Germany based non-governmental organization Andheri Hilfe Bonn. The village, which consists of around 350 people, lies about 20 km from the Murhu town. Agriculture is the primary occupation of the people. This main crop in this village is rice, which is rain-fed and mainly done in the kharif season. Sushil Bodhra, gram pradhan of Ghagari village for 22 years, said that the village had gone through three phases. “In the first phase till the 1970s and 80s, they were only using organic methods. From the 1990s till the early 2000s, some farmers switched over to using chemical based farming. But in the 10 years, especially since WOTR started its work, even those farmers have switched back to mostly using organic methods of agriculture,” he says. Indernath Singh (64), a farmer with 13 acres of land, gives us a historical perspective on the agriculture practices followed in the past. “In the past, roughly in the 1960s and 70s, the entire village followed traditional methods like using manure. The entire village cultivated only rice in kharif season. But in the 1970s, government officials who visited the village told us about the higher yields that chemical based farming could give us. So some farmers slowly shifted to these methods and saw a rise in their yields. They also started growing other crops like tomatoes and brinjal,” he says. Vipin Kumar Singh, agronomist and project manager points out that while pesticides and fertilisers are easily available, organic farming methods like vermicomposting are not easily accessible, which further discourages farmers from adopting organic farming. “It is easy to switch to organic farming but difficult to maintain it, as it takes more time and effort. Procuring worms for vermi composting, for example, means going to the Krishi Vigyan Kendra in Ranchi; the farmer loses the whole day in the process. Organic farming does not fetch a premium as the nearby areas do not have customers who would pay more for an organically grown crop. There is a transition period in which the yield from the land actually drops when you switch to organic farming. Hence, the focus now should be on making components of organic farming more easily available and boosting the marketing and supply of organic products. 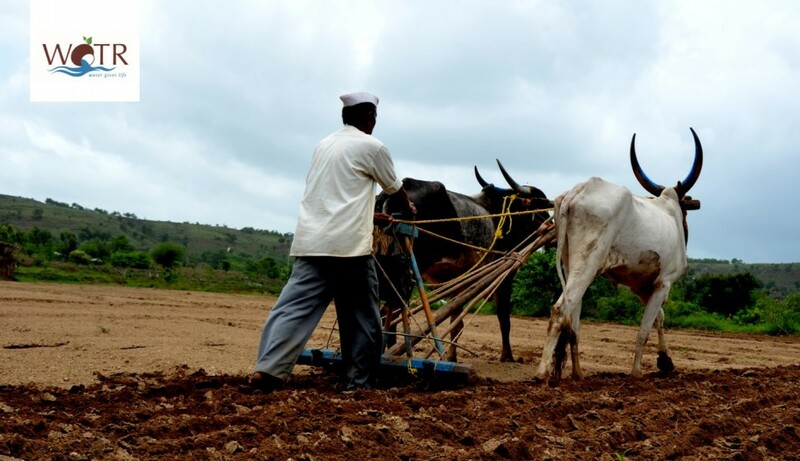 Ultimately farmers need economic incentives to make organic farming sustainable,” concludes Vipin.